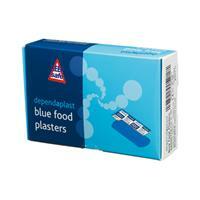 Pack of 100 assorted sizes Blue food grade catering metal detectable, washproof plasters. Each plaster is low allergy and latex free. Sterile and individually wrapped.